We have all had help along the way. A mentor, a teacher, a friend who was there at just the right time and offered knowledge, support, or a helping hand. Here’s your chance to say thank you and give credit where credit is due. 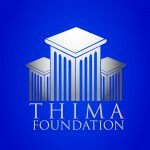 Nominate someone for a THIMA Foundation Award today!